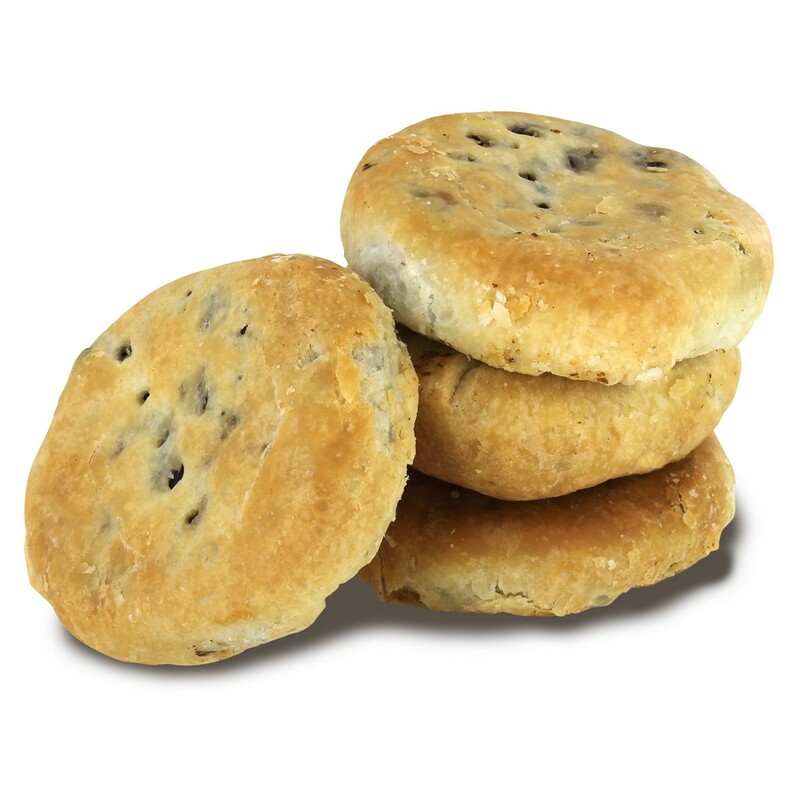 Recently, English Tea Store has had requests to carry Eccles Cakes and we are now proud to feature them on our site! They are still mostly unknown in the United States. While they are beginning to gain popularity here, they have been well known by British people for many generations. Eccles cakes are flaky, round, and flat little cakes covered in sugar and filled with fruit, usually with raisins or currants. They’re often described to be buttery, fruity, and sticky but very delicious. Eccles Cakes were believed to have originated from Eccles, England, but many also say Lancashire (a suburb of Manchester, England), hence the name Lancashire Eccles Cakes. Eccles is also a word meaning “church” and it was the name of a local church where a service was held over the years to celebrate the construction of the church. Following the service was a fair where attendees could purchase food and drink, with Eccles Cakes being one of these said foods. It is unknown on who invented the recipe but it was popular in a shop run by a man named James Birch in the 18th century. His Eccles cakes were the ones sold on Church Street by the vicarage. Eccles cakes are often confused with the Chorley cake, but the Chorley cake is made with shortcrust pastry and is less sweeter than the Eccles cake. Eccles cakes are becoming more and more popular, being been sold in other countries. They have been seen in a few specialty shops and are now sold right here at the English Tea Store. The best part is that these very cakes are made in Lancashire, so you know you’re getting the best quality! Try with a cup of tea either as a snack, dessert, or for tea time. Trivia: Eccles Cakes are also known as Squashed Fly cakes. Thank you for the interesting story of the humble Eccles Cake – something I love. I didn’t know they were largely unknown in the US. Just to clear up any confusion, Eccles is in Manchester and Manchester was in the County of Lancashire until it was promoted to being a Metropolitan County. Lancastrians are very proud of the Eccles cake (not to mention black pudding.and jellied udder and other tasties).